Mohan Gandhi, an Indian Institute of Management Ahmedabad graduate provides anti-piracy solutions through his company Entersoft Information Systems. In this interview with rediff.com's Vicky Nanjappa, Gandhi speaks about the challenges while dealing with cyber security and also what it is to be an ethical hacker. Have we identified the importance of ethical hackers? Corporate India has now identified the importance of ethical hackers and almost every security company has them as a strategy to perform ethical covet activities. According to latest estimation by Cert-In, India is in need of more than 4 lakh ethical hackers. The world has seen how important intellectual property in this century is. Firms such as Apple, Samsung and Microsoft of the world use patenting for competitive edge. Is ethical hacking still considered as shady? Earlier, thical hacking as a profession was considered as a shady career option. But now, India has realised the importance of security and importance of offensive security. Countries such as Israel, Russia has the top hackers in the world. Their offensive approaches helped the respective nations to build systems which are most difficult to hack. I believe in the next five years, corporate India will definitely follow offensive security options. For the government and the PSUs I think it might take more time because of the dearth of quality ethical hackers in the country. Could you tell us more about what it takes to be a hacker? Being a hacker is different and difficult. Hackers always have to know how to tear apart latest technologies. Indians, in recent times have started upgrading their skills to learn the latest hacking technologies. 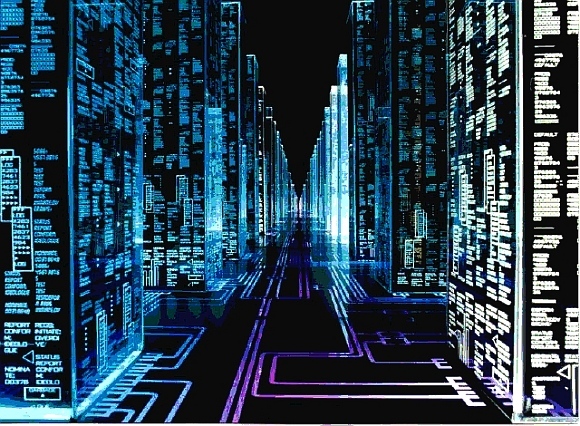 Having hackers will help the country to be strategically strong in IP protection, for national defense and huge public sector projects like Unique Identification Number etc. Looking at our cyber crime set up, it is clear that there is a lot lacking. Any suggestions? The Indian education system does not see ethical hacking as a great profession since it requires continuous learning. Having in-house cyber crime investigation departments and to continuously update latest happenings in the forensic space needs lot of training and time. Given the lack of infrastructure, it is extremely difficult to handle continuously increasing cyber crimes. But there has been progress with the governmental procedure. Preliminary discussions have taken place on establishment of a multi stakeholder Cyber Coordination Centre which will detect malicious cyber activities in the Indian cyber space and issue early warning alerts. But, there is always a lack of infrastructure and coordination. Cyber crime cells should coordinate with ethical hacking companies and the private sector to find products which make the process automated. Developing B2C detective and awareness applications definitely reduce the cyber crimes. Another major reason why cyber crime cells are not successful is that cyber crime set-ups did not raise awareness about minimum knowledge that common people should know to avoid scams. Human intervention is one of the weakest links in security systems. We cannot inherently separate it from technology. The Cyber Crime Cell has done a good job in setting up infrastructure and learning tools to track cyber criminals. But it is equally important to increase awareness about such crimes to common people. What is the role of cyber crime cells? 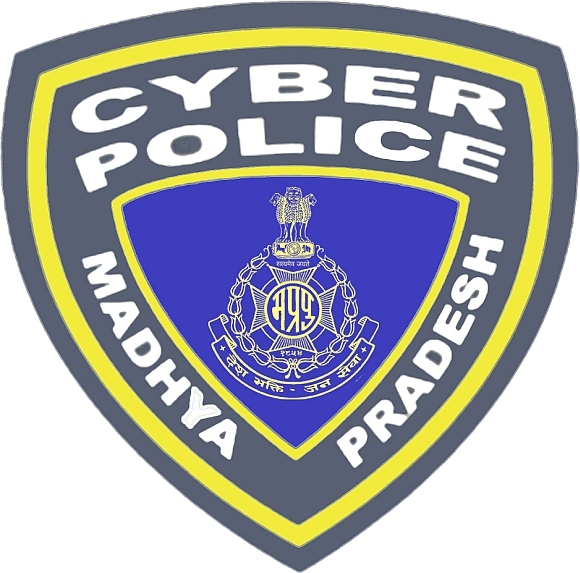 Cyber crime cells should perform various awareness activities about cyber laws, cyber scams etc. College events and corporate events might be good avenues to do this. The growing dependency on the internet makes it necessary for governments to invest in cyber education through inclusion of IT security in college curriculum at an early level. Having good practical cyber security curriculum stops cyber crimes at the root level. You propose to fight piracy. Could you please elaborate on the same? As per our analysis, we strongly believe that first seven days of a movie is very critical for its success. A movie, once released, has very high chances of getting the camera print, which are available to viewers in various formats such as CD and DVDs in local shops, online video sharing sites and as torrents which can be downloaded onto viewers' local machines. All these formats would have a direct impact on the footfall of the viewers in local theatres, which would ultimately effect on the commercial success of the movie. Entersoft strongly believes that the only way to curb piracy is to attack it, and the only way you can do it is through hackers. Our uniqueness lies in the R&D of hacker heuristics and emphasis on offensiveness. The effectiveness is based on proven offensive security methodology. We promised renowned Telugu film director Mr. Shekar Kammula that his movie print will not be online for 14 days. We have found a systematic methodology through ethical hackers which will attack piracy. We have automated most of the activities. We are soon planning to release a product which can effectively stop piracy for the first seven days. Is the government doing enough to fight piracy? India is No. 5 when it comes to piracy. Other countries with high rates of piracy are China, Colombia, Russia and Malaysia. Not surprising. 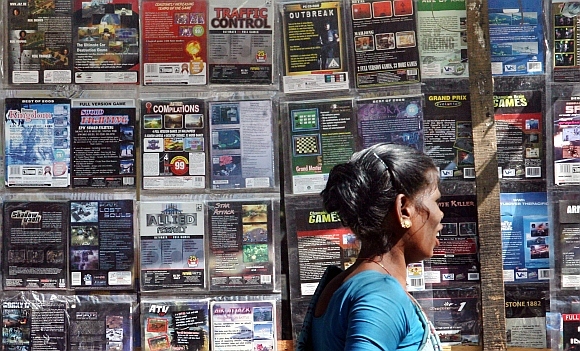 65 per cent Indians don't see anything wrong in using pirated content. In India we have good cyber laws and IP protection acts, so the government needs to provide privileges to parties who fight piracy. For example, providing a good reporting ecosystem helps. We can attack piracy at various levels -- at Internet Service Providers, hosting providers, file sharing/hosting websites etc. We cannot block the sites altogether. We cannot restrict the internet. 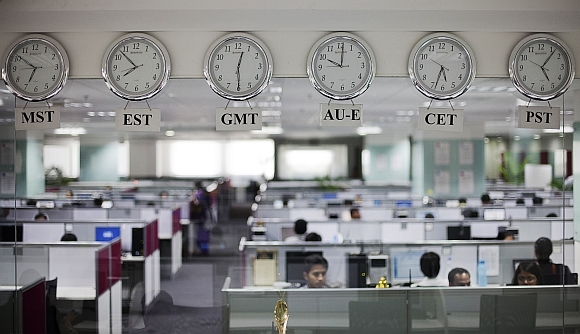 The Indian government needs more time to implement effective monitoring and blocking. But if the government can provide avenues to easily raise IP issues we can definitely stop piracy. We have to approach ISPs, hosting providers etc separately. Most of the anti-piracy cells are organised groups partnering with the police or administration. The government has already facilitated cyber laws to protect intellectual property. Online piracy is something which is very difficult to stop. Good laws and continuous help from the police will help curb piracy at source levels such as CD shops, cam recording companies etc. But, given the Indian scenario, private sector should see this as an opportunity. The problem Indian film industry faces is its alienation from the private sector. A collaboration of the government, the private sector and awareness among common citizens can only stop piracy. For the government, piracy is not a big problem to solve; they have many big other problems. I believe that the private sector should bring in a change. Ethical hacking: Meet the James Bonds of cyberspace!